In 1897, C.C. Hudson left Spring Hill Farm in Williamson County, Tennessee for Greensboro, North Carolina with a dream of starting his own company. 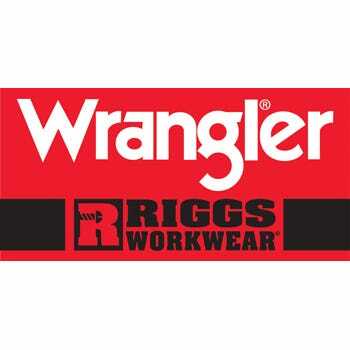 One hundred twelve years later, the company thrives, offering quality workwear like this Wrangler Riggs Men's Ash Hea ... (see full details) (see specifications) #WRG3W760AH. In 1897, C.C. Hudson left Spring Hill Farm in Williamson County, Tennessee for Greensboro, North Carolina with a dream of starting his own company. One hundred twelve years later, the company thrives, offering quality workwear like this Wrangler Riggs Men's Ash Heather 3W760 AH Short Sleeve Henley Shirt. It provides you with durability and comfort in a classic style that's perfect for both work and casual wear. Constructed to outlast even the toughest working conditions with triple-needle stitching and taped side seams, this henley is manufactured in a 7-ounce blend of 90% cotton and 10% polyester. It's soft to the touch and durable too. It's designed with a comfortable relaxed fit that's perfect alone or layered. There's a two-button placket, and for comfort at the neck, the neck seam is taped, while a tagless label eliminates stiff tags scratching your neck. A left chest pocket and a hidden utility loop add convenience to this versatile men's top. In ash heather, a light gray with subtle shading, this top goes with everything in your workwear lineup. Like some variety? We have them in plenty of other colors, too. For a comfortable shirt that delivers long-lasting wear plus all-day comfort, check out this Wrangler Riggs Men's Ash Heather 3W760 AH Short Sleeve Henley Shirt. We have them right here at Working Person's Store. Order today! I had been looking for lightweight Henley shirts to wear underneath layers for a while before I found this Wrangler 3W760 AH work shirt - I like the look of the Henley buttons, but I wanted something that wasn't going to be too bulky. By eliminating the long sleeves, this shirt manages to remain comfortable under layers while still giving off that Henley vibe. Plus, it's really well made (like all wrangler products I've ever owned) and the seams seem like they'll hold up for a good long while. Would recommend, either as an undershirt or a top layer. Shirt wears well and color stays. If I didn't work in construction they would last a lot longer than the 2 or so years I get out of them. Fit and wear better than Carhartt and are less expensive. Would recommend . This shirt is made really well and most of all it has a good pocket. If you're like me I need an ink pen at work and I hate to wear shirts without pockets. This shirt is very durable and you can wear it on both warm and cool days, in other words it's pretty much a summer through fall type of work shirt. Wrangler Riggs Shirts: Men's Ash Heather 3W760 AH Short Sleeve Henley Shirt is being added to your cart.